There are actually numerous spiders out there. Some are harmless and some are dangerous to human beings. 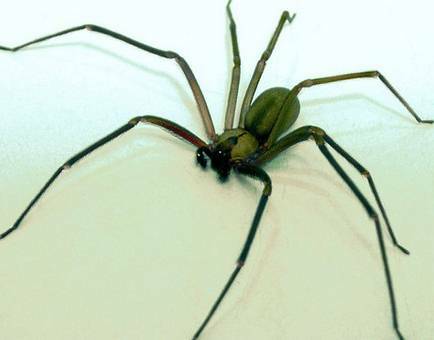 One of the most known spiders that are considered dangerous is the Brown Recluse Spider. Its scientific name is Loxoceles Reclusa. It is classified as an arachnid family. These kinds of spiders are found in southern and Midwestern parts of the United States of America. They are usually found hanging out in darkened places, on the rocks, leaves, and wood. When you are bitten by this kind of spider, its venom is poisonous. It will destroy your tissues. They bite when you only disturb it. It is their defense action. They are not really the aggressive type. Whenever a person will be bitten by a Brown Recluse Spider, the first thing he or she will feel is a sharp, painful sensation that is likely to be similar to that of a bee sting. The side effects of being bitten by this kind of spider can be either mild to moderate ones, but in some cases it will lead to a more serious reaction that will need surgery. In the early phase of the Brown Recluse Spider bite, there will appear two small fang marks and it will turn into a slight reddish color. Then after which, it will become tender to touch, which will then swell and then become harder and will eventually leaves a scar. Yet, if for instance the victim has a reaction after being bitten, within two hours a small pustule would be visible. As long as no medical treatment is done, symptoms would get worst. The next stage is when the wound begins to deteriorate in a rapid manner. The wound that was primarily red will turn into white. The pustule will expand and swell. This is a mere indication that the tissue damaging is beginning. As it progresses, without medical intervention, the infection will become deep, the skin will turn into blue, which will suggest that there is no blood supply in that area, and it will go through necrosis. The wound would eventually blows like a volcano that has erupted. On the third and fourth day, the wound area will turned into scabs. However, this doesn’t suggest that the infection is on recuperation stage, yet it means that the infection has further deepened. The infection itself will proceed to imbue the soft tissues, enter and scavenge the muscles all the way up to the bony areas. An open wound sore can take up to months of recuperation and may require total or partial amputation or skin grafting procedures are done as the third option. The bite of this dangerous spider doesn’t really penetrate to the deep skin tissues. It is considered to be very painful which is due to the fact that what was injected by this spider in to your body was toxic kind of venom. The toxicity of this venom causes pain. The venom itself has a necrotic compound which leads to rapid death of tissues when you are not able to acquire medical interventions. It occurs quite rapid and in severe instances it burrows out a hole in the wound site which can reach to the bones. Thorough assessment of the victim. The physician will ask about the time the bite took place, when it took place, other medical problems, allergies and medications. The victim will undergo laboratory studies such as complete blood count, blood clotting studies, urinalysis, electrolytes and kidney function studies. You must take note that there are no specific laboratory findings that will lead into confirming the brown recluse bite. Therefore, the physician has to have a careful examination and history. The Brown Recluse Spider or often known as fiddle back or violin spider is one of the most deadly spiders in the world. It is about 0.5 inches long having a dark violin shape mark on the head and in the midsection which is termed as cephalothorax. It has six eyes rather than eight. The neck of the violin is directed to the fuzzy, round abdomen. Its color may run from a light tan to dark brown. With each molting, the spider will have a bit darker hue. It has a velvet like covering. It also has numerous fine hairs that is lining the cephalothorax and legs. Its total body size is 3/8 inches long, when the legs of the brown recluse are on full extension. Wash the area with mild soap to avoid the venom to attach to the skin. Apply cold compress alternatively for 10 minutes. This will result in vascular constriction which will slow down the spread of the venom peruse. Elevate the area above the heart. This will slow the spread of the venom. Take anti-inflammatory medications. This medication will ease the pain that you will be experiencing. Remain calm. Panicking will only increase the blood pressure which will in turn speeds up the spreading of the venom throughout the body.